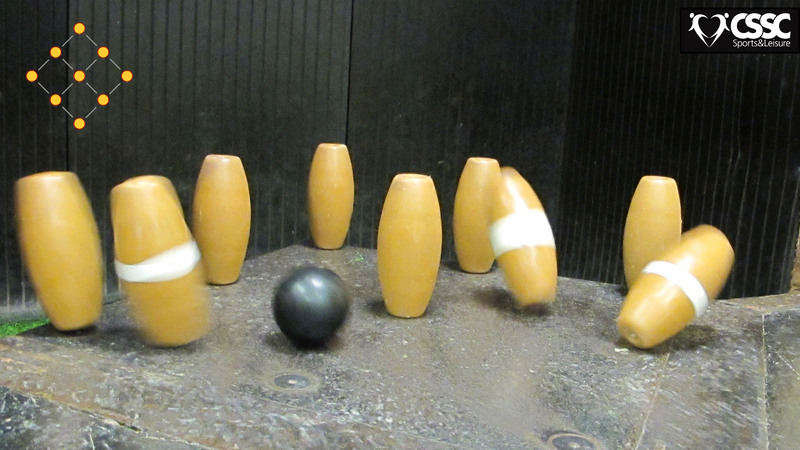 This club provides for mixed teams of 9 players to play skittles (nine pins). We are part of the Cotswold Area Civil Service Sports Association (CACSSA). The Winter League is our main competition and generates the most interest. This season there are 8 teams playing in one division. The league usually starts in September and continues to about the following Easter. Teams of 9 players in 3 legs of 3 play once nearly every week. The President’s Shield is our knock-out competition for the teams of the Winter League. The games are usually held after the Winter League finishes. On the Final’s Night we present prizes to the teams and players who have done well in both competitions. The bottom teams of each league division compete in a further game for the Wooden Spoon. The Summer League is not as serious as the winter league but some teams are keen to continue playing during the quieter summer months. This also provides a useful opportunity for new teams to try their luck. Again we have a Final’s Night for the top two teams to compete for the Winner’s Trophy. On Summer Final’s Night we play a front-pin match for the John Christie Chairman’s Cup. This game is between the winners of the President’s Shield and the Champions of the Winter League (or runners up if the same team). Player of the Year is a knock-out competition, started in 1995, for individual CSSC members. Tony Clay Memorial Shield is a knock-out competition for individuals using Front-Pin Rules, to be held in memory of Tony Clay, a former chairman of the club, who died in 2009. All CSSC members are entitled to play in our leagues. The Geoff Hardy Room at the Tewkesbury Road Clubhouse contains three skittles alleys. All our games are played here, starting at 20:00 and finishing at about 22:00. The alleys are available for hire as well as being used for the Cheltenham Civil Service Skittles Club. The bar and catering facilities are available.